Apollo is partnering with Professor Clare Bryant (Professor of Innate Immunity, Department of Veterinary Medicine) and Professor David Klenerman (Department of Chemistry) at University of Cambridge to develop small molecule antagonists of TLR4 for treating neurodegenerative disorders. 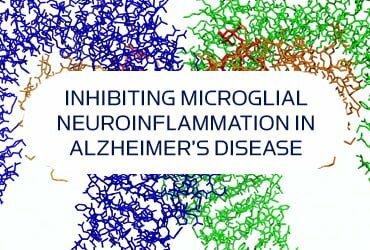 Our collaboration is based on Prof Bryant and Prof Klenermans’ currently unpublished collaborative work that characterises the role that innate immune receptors play in chronic priming of pro-inflammatory responses in microglial cells following exposure to physiologically relevant, low levels of pathogenic protein oligomers. The project is further enabled by Prof Bryant’s expertise in toll-like receptor biology that has yielded a deep understanding of receptor signalling at the molecular level and mechanisms by which to antagonise this receptor class. Based on these novel findings and expertise Apollo is now collaborating to discover and develop a small molecule drug discovery programme that aims to deliver therapeutic TLR4 antagonists that are effective in Alzheimer’s Disease.